Kelly Fryer, former CEO of the YWCA in Tucson, is a late comer to the governor’s race, but she’s full of energy, vision and has a strategy that includes all of Arizona, not just the cities or Maricopa County. She used to run Arizona List and she, like so many other women, were called to run in this election cycle because of the mess we find ourselves in today. 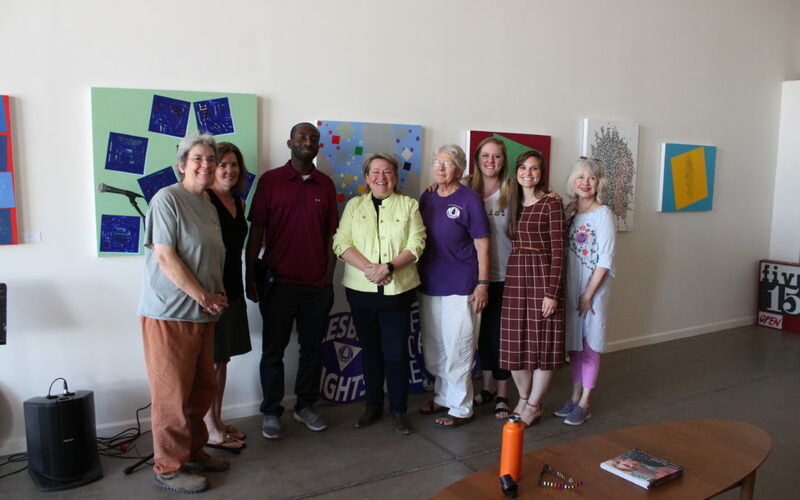 A former Lutheran pastor and a married lesbian with two children from Bisbee, she feels she can connect to the people in the rural areas who feel they have been ignored and the people in the city who are looking for a progressive voice. She has a solid plan for bringing in new revenue to fix our broken education system – a millionaires tax for income, a state property tax for houses worth more than a million and for winter homes, and elimination of the scholarships and tax credits for rich people sending their kids to private schools and for businesses that avoid all but $50 of tax a year. This could bring in $2.6 billion a year – enough to pay Arizona teachers to the median range. She spoke at Central Phoenix Inez Casiano NOW at our April meeting. Check her out on her website, sign her petition and donate to her campaign.